The best way to make a brochure is to start with a specially designed template you choose right when you open Publisher. 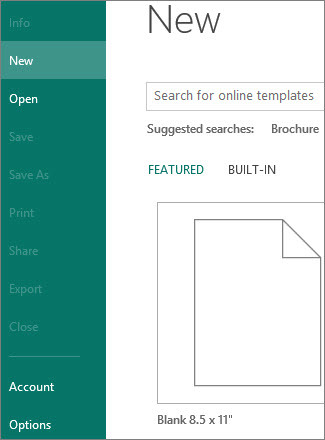 You’ll find Publisher templates on the Start page that appears when you open Publisher without first picking an existing file to open. You can also get to the Start page anytime by clicking the File >New. 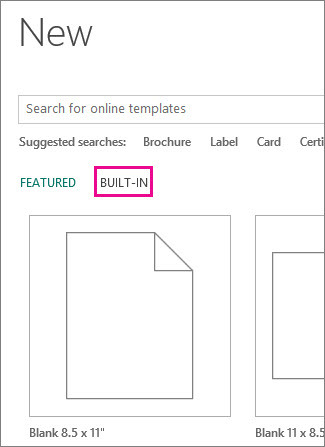 On the Start Page, click Built-In > Brochures and click a template in one of the categories of brochure templates, such as Informational or Price List. 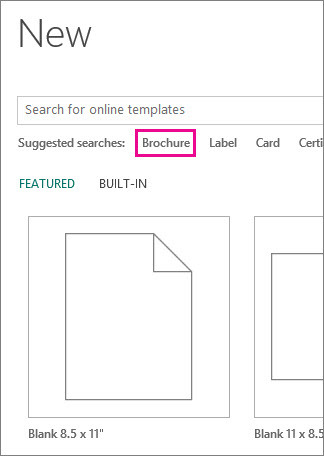 To find more online templates click Brochures next to Suggested searches under the Search box. Options for changing the template colors, fonts, text, and graphics become available as soon as you click Create and open a template. For more info about creating brochures, see Make a brochure, Print a brochure, and Find an Avery template.